Why Servant Leadership Institute (sLi)? For some time we attempted to hire the graduates from our long term men’s and family programs and found that although the program had prepared them to live the Christian life and they had the desire to “give back” and/or become involved in ministry, they were ill-prepared for the intensity of ministry to clients coming through our doors. Although their own personal experience was extremely valuable and their new found walk with the Lord very motivating, they needed more if they were going to stand firm in the rigors of Rescue Ministry. Consequently, we have developed an Institute for our graduates who desire employment in the ministry of Rescue: Servant Leadership Training Institute (sLi). Graduates from any Rescue Mission long term program may apply. 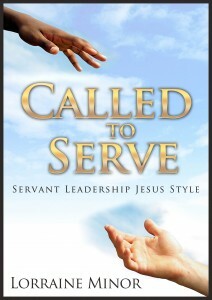 What is Servant Leadership Institute (sLi)? At City Union Mission, the Institute is a one-year commitment. The local mission provides room and board and camera-ready computer access on Friday mornings. The student is required to have a 15-24 hour part time job, preferably outside the mission, to provide for his or her own needs. They perform on-the-job training experience for 16-20 hours a week, choose and perform 100 hours of unassigned volunteer work in the Mission during the year and attend Friday morning classes with students in other mission using video conferencing. When can a student begin? A student who has graduated from a Mission’s long term program can apply any time. Application and interview process is recommended before making a commitment to a part time job. Please contact us if you would like more information or have a graduate you would like to recommend. The Institute is funded by grant so there is no charge to participating missions for the classes and training tools for the next two years.